The 7th of November 2018, on the occasion of the European Skills Week and within the framework of the Erasmus for Young Entrepreneurs and Italymobility.com Programmes, some students of European Vocational Schools and Institutes, some apprentices and some foreign entrepreneurs who are in Tuscany thanks to the support of CSCS – Centro Studi Cultura Sviluppo di Pistoia, met in the Business Incubator in Pistoia, together with Italian entrepreneurs hosting them, to discuss the benefits of the mobility abroad during the professional training or paths. On this occasion, CSCS staff took the opportunity to present the ARACNE+ Project to students, apprentices and entrepreneurs of the area. The main objective of the ARACNE + project is to validate, to develop and to consolidate a training model for socio-labor integration that has been generated by a previous project KA2 - Adult Training Strategic Partnerships, called ARACNE TRAINING, EMPOWERMENT, ENTREPRENEURSHIP. - The times needed to obtain significant results. 2. Design and produce resources for the training of specialised trainers in the application of the model, including a training course. 3. Develop a proposal for recognition of the competences developed through the application of the ARACNE training model. 4. Implement an online learning platform. 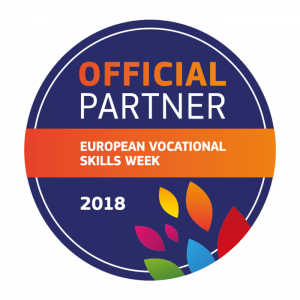 The 2018 European Professional Skills Week will be held in Vienna, from 5 to 9 November. As part of the week, hundreds of events and activities will take place throughout Europe from September to December. “Discover your talent!” is the motto of the week organised by the European Commission. The week will bring together training centres, organisations, public authorities, business organisations and a wider public to improve the profile of vocational education and training (VET). The goal of the week is to show that VET is a smart choice, leading to excellence in education, high quality jobs and greater employability. For more information, have a look EU commission website, while here you can find our events and other events near you!